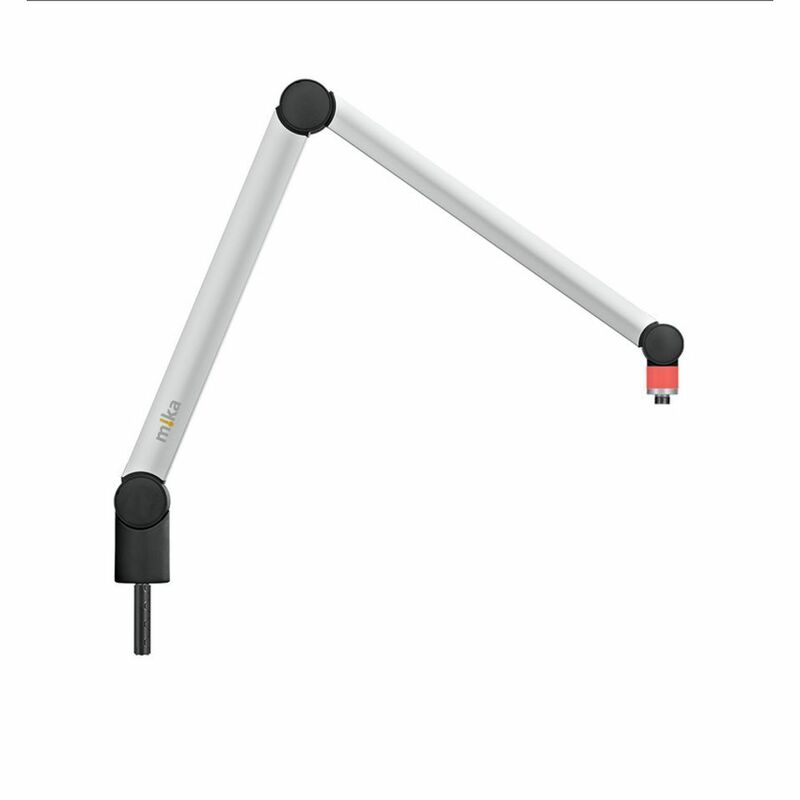 The Yellowtec Microphone Arm size M is ideal for attaching microphones at home and in all areas where the distance between the arm and the speaker does not exceed 78.7 cm. m!ka On Air Microphone Arm M is equipped with Yellowtec's bright two-colour Litt On Air signal and is not only used for optimal adjustment to the weight of your microphone and its exact positioning. It also allows the signalling of different states. Use the colors red and white to indicate a status like On Air or Mic Ready. Just reverse the polarity of the voltage and switch between white and red. The new two-colour indicator is the smaller version of Yellowtec Litt Signaling Device, which is integrated into the head joint of the microphone arm. Thus the m!ka On Air signal is characterized by the same unique and award-winning CleanVision® light characteristics as the Yellowtec Litt signal lamp.